Mr. Justice Mudassir Khalid Abbasi in his judgment has decided the issue regarding submission of false affidavit for recruitment in Police in Writ Petition No. 57381 of 2017. 1. Through this single judgment, I intend to dispose of W.P. No. 50311/2017, W.P. No. 50325/2017, W.P. No. 50329/ 2017, W.P. No. 50315 of 2017 and W.P. No. 50466 of 2017 along with instant petition. 2. Petitioner, in W.P. No. 57381 of 2017 has called in question, circular No.SE-IV/7317-70/II dated 26.06.2014 and petitioners in other connected writ petitions have sought direction against respondents for issuance of appointment letters. 3. Precisely the facts of the case are that petitioners in all writ petitions applied for the post of head constables in response to an advertisement dated 05.12.2016. According to the stance taken by the petitioners they have qualified requisite tests and examinations, however, their appointments were withheld vide circular No.SE-IV/7317-70/II dated 26.06.2014 issued by respondent No.2 to all heads of Police in the Punjab, whereby candidates who were involved in the criminal cases (either under trial or acquitted on multiple grounds) were directed not to be appointed.Petitioners being aggrieved by afore-referred circular have filed instant writ petitions. 4. Learned counsel for the petitioners has argued that circular dated 26.06.2014 has been issued in violation of constitutional provisions and is against the principles of natural justice. States that since some of the petitioners have been acquitted from the charge leveled against them in criminal cases whereas some of them are under trial, therefore, restriction on appointment could not be imposed. Further states that in terms of Articles 4 and 25 of the Constitution, petitioners are to be treated in accordance with law without any discrimination. In this regard, learned counsel for the petitioners have relied on “Muhammad Aslam v. Sabir Hussain and others” (2009 SCMR 985), “Asghar Ali v. Mansoor Muzaffar Ali and 3 others” (2012 PLC (C.S.) 502), “Iftaaikhar Hussain and others v. The State” (2004 SCMR 1185), “Director General, Intelligence Bureau, Islamabad v. Muhammad Javed and others” (2012 SCMR 165), “Chairman Agricultural Development Bank of Pakistan and another v. Mumtaz Khan” (PLD 2010 Supreme Court 695), “Rahimullah Jan v. Kashif and another” (PLD 2008 Supreme Court 298), “Dr. Muhammad Islam v. Government of N.W.F.P. through Secretary, Food, Agriculture, Livestock and Cooperative Department, Peshawar and 2 others” (1998 SCMR 1993). 5. On the other hand, learned Assistant Advocate General while opposing the afore-referred contentions has argued that the petitioners have misstated and have sworn false affidavits concealing the fact that criminal cases were registered against them, irrespective of their acquittal or innocence. He has further argued that acquittal/innocence of the petitioners is distinguished from the fact that they have concealed the registration of cases. Moreover, the case law which has been relied by the other side relates to the acquittal of a person and do not address the question of concealment of facts. 6. Arguments heard. Record perused. Primarily, thrust of the arguments advanced by the counsel for the petitioners is that mere involvement in a criminal case would not create any impediment upon the appointment of the petitioners as head constables particularly when they have been acquitted after facing trial or otherwise exonerated from the charge. 7. I have carefully gone through the case law referred above. No doubt, ratio of these judgments is that exoneration/acquittal of an employee shall be considered to have committed no offence because the competent Court had exonerated them from the acquisition of criminal charge. In other words double presumption of innocence is attached to a person acquitted and registration of case/facing the trial does not disentitle a contender to get employment in the Government department. “The competent authority has decided in principal that all those candidates who, during character verification, have been found involved in criminal cases (either under trial or acquitted on multiple grounds) shall not be appointed in Police Department as constable. 1) The character and suitability for enrolment of every recruit shall be ascertained by a reference to the lambardar of the village or ward member of the town of which the recruit is a resident. A search slip shall also be sent to the Finger Print Bureau in order to establish his freedom or otherwise from conviction. Such lambardar or ward member shall, if the recruit is of good character, furnish a certificate to that effect which shall be verified and attested by the Sub Inspector in-charge of the local police station. The Sub Inspector shall also complete the information required by form 12.18(1). Admittedly, criminal cases were registered against the petitioners. Although most of them have been acquitted and some of them are still facing the trial. However, at this stage, it would be relevant to draw a distinction between acquittal from criminal case, concealment of facts and deposing falsely at the time of application for getting employment in disciplinary force. Further information regarding submission of false affidavit for recruitment in Police can be solicited from AUJ LAWYERS. Feel free to contact us in case you need any clarification and/or require legal assistance regarding similar matters. 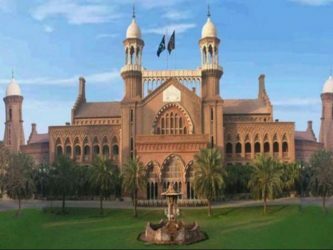 This entry was posted in Case Laws, Civil Law, Constitutional Law, Employment & Incentives, False Affidavit, Fundamental Rights, Knowledge - Civil Law, Knowledge - Constitutional Law, Lahore High Court, Litigation & Arbitration, Policy Decision, Public & Admin Law, Solutions - Civil Law, Solutions - Constitutional Law. Bookmark the permalink.